GluDairyZyme is our premier digestive aid for accidental exposure to gluten and dairy. 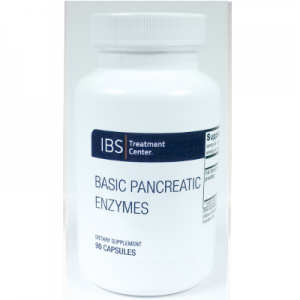 Only available at the IBS Treatment Center, this product contains enzymes for both gluten and dairy proteins and is free of dairy/casein, eggs, wheat/gluten, corn, soy, yeast, fish, shellfish, tree nuts, and peanuts. Contains no artificial colors, flavors, or preservatives. Other gluten enzyme products often contain dairy and soy, but IBS Treatment Center brand GluDairyzyme was made pure to meet the needs of those with both gluten allergies and other allergies. 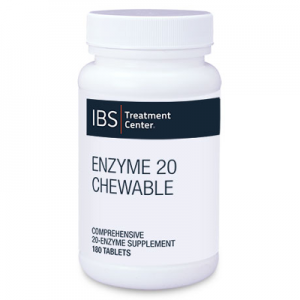 This enzyme combination is a group of digestive enzymes specifically designed to aid in the digestion of gluten and dairy. GluDairyzyme may be especially helpful for those who suffer from gluten intolerance, celiac disease, dairy allergies, or lactose intolerance when they accidentally eat gluten and/or dairy contaminated foods. It is not suitable for people with stomach or intestinal ulcers. 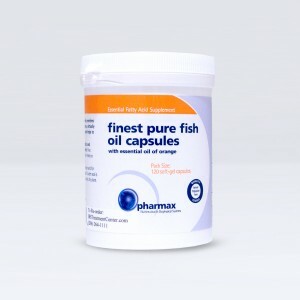 Note that it comes in 180 capsule containers and is much more cost effective than other products in this category. Non-Active ingredients: Vegetarian capsule (hydroxypropyl methylcellulose, water), cellulose, and L-leucine.